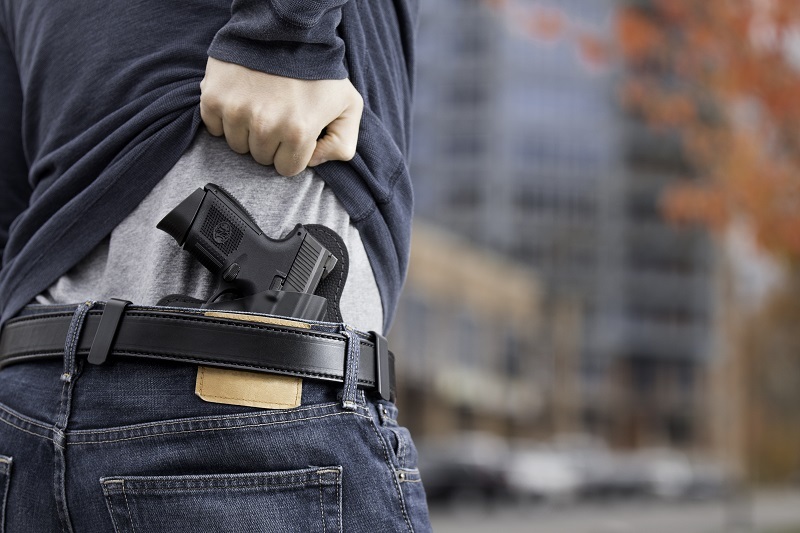 People who carry concealed are usually quite preoccupied with printing, where the outline of a handgun will imprint through a shirt or other clothing, telegraphing to the observer that a person is armed. It's been suggested that a bit of printing is actually nothing to worry about, since few people pay enough attention to notice anything other than what's wildly obvious. Still, printing is good to avoid. Here are 5 classic types of handgun printing to watch for, either to keep from printing or to spot other potentially armed persons. The first, and in some cases perhaps the least obvious to anyone other than the observant, is a sharp point emerging in clothing due to the presence of the handgun grip. It will happen with semi-autos and revolvers alike, as the sharp contour of the rear handgun grip sticks out into clothing and produces a tell-tale sharp point. The degree to which this is a giveaway...depends on just how much of the grip is imprinted into the fabric. A small amount of this type of printing is barely noticeable. It could also be painfully obvious that there's a gun on person's waistband. This type of printing is most common with waistband carry, and most certainly in or close to the 3 o'clock position. If you look a bit more closely, you'll notice the "point" seems to literally point away from the person carrying, as if something were trying to protrude from the front to the rear of their shirt. How to cure it? Adjusting the carry position. Depending on the exact shape and contour of the carrier's body, a gun will print more in some positions than others. 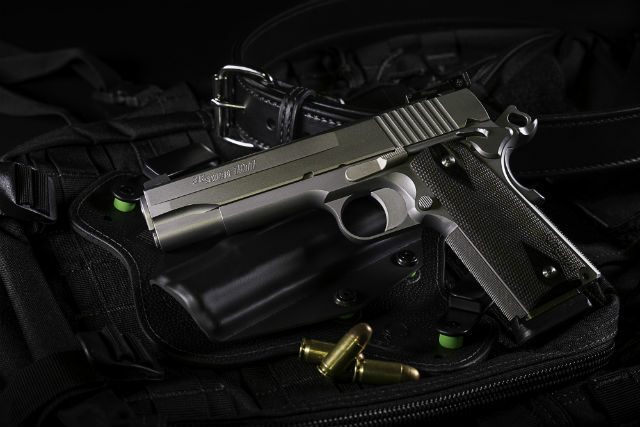 This does have to be balanced with comfort - after all, a person who can't carry comfortably will find reasons not to - but usually moving the firearm a bit further forward or rearward will either eradicate or diminish this effect. A similar effect can be observed with the handgun hammer, especially if a person is carrying hammer-down with either a revolver or single action or double-single action semi-auto, and at that, especially those with spur hammers instead of a bobbed hammer. The effect is basically the same as an imprinting handgun grip; the hammer is too far forward to keep from printing and shows through the shirt. However, it will look as though something is trying to poke through the front of the garment. The cause and cure are much the same. In this instance, the handgun is positioned too high and too far forward, caused the hammer to poke through the shirt. The cure is to reposition the pistol so the hammer doesn't poke through any more. Additionally, some other options present themselves. For a more streamlined profile, you may consider upgrading to a bobbed hammer in lieu of a spur hammer. Certain guns have generous aftermarket support and this switch can be made easily. If possible, cocked and locked carry can mitigate this effect, if possible with your firearm. However, this should only be attempted with guns that have a manual safety, such as the 1911 and DA/SA semi-autos with a traditional manual safety such as the CZ 75B and its various clones. The decocker models of the CZ are meant to be carried hammer-down, as are safety/decocker-equipped DA/SA guns such as Beretta or HK pistols, or decocker-only guns such as those by Sig Sauer. 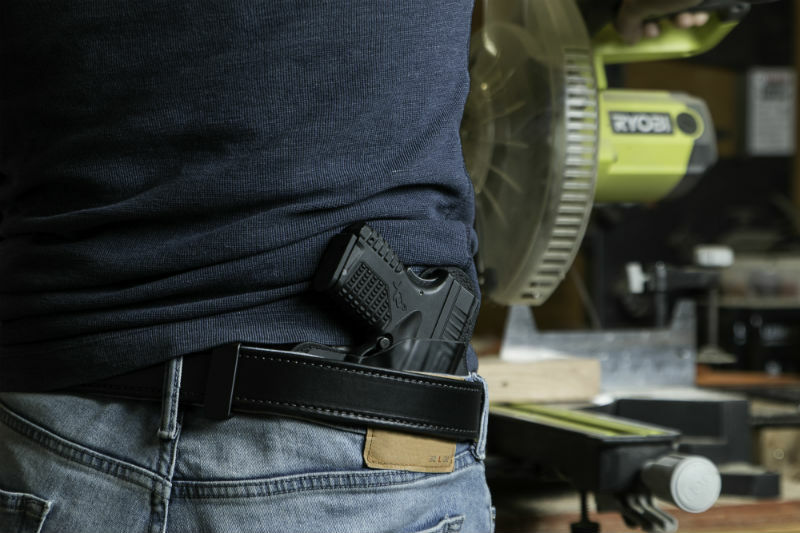 This isn't printing in the strictest sense, but gun belt sag is still one of the tell-tale giveaways that a person is carrying. It's also a tell-tale sign that a person isn't carrying with good enough equipment. The fact is that a strong gun belt aids with concealment as much as a compact gun and a good holster do. If a person's belt is lower on one side of their body than on the other, and there isn't anything obviously weighing it down...good chance they have a gun (and hopefully) a holster that are a big too heavy for that belt to hold. Again, not printing per se...but just as big a giveaway. 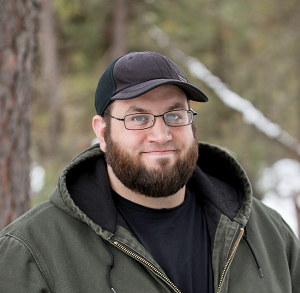 Naturally, part of winter carry for some people is carrying a larger gun, and some people use the additional layers to their advantage by carrying the full-size gun they like shooting more than their compact or subcompact. Some people will also switch to OWB carry as well, as the additional layers can hide a high-riding OWB rig in a way that a regular shirt just doesn't with a full-size gun. The effect? Especially of putting a big, bulky double-stack auto or mid-size service revolver on their hip? An obvious bulge in clothing. Since hip carry is going to be the most natural, this is where the bulge will show up. A large enough gun will even print through a jacket in this manner. While not obviously per se, there will be an obvious bulge where the gun is located. The cure? 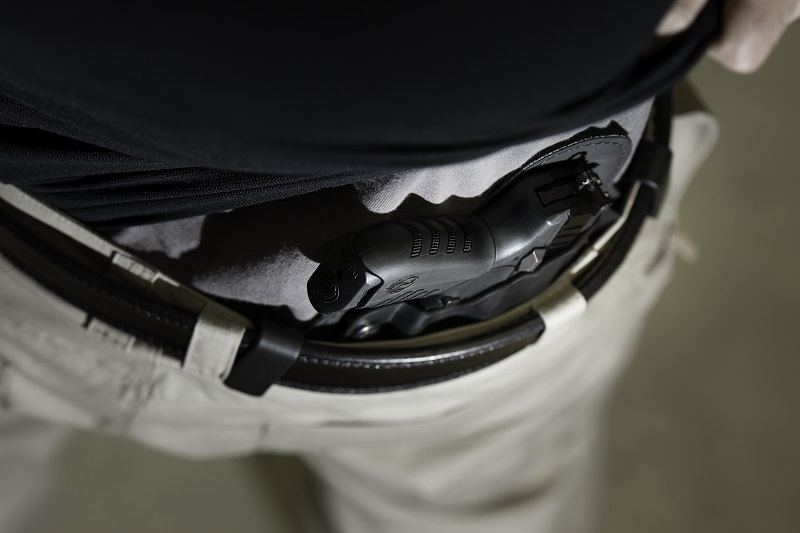 Adjustment to fit the curvature of the garment can help, especially by rotating the gun and holster just behind the 3 o'clock position, but there may still be a bit of a bulge in that instance. One of the most obvious giveaways is part of the handgun frame printing, which will show through clothing with straight lines that otherwise wouldn't be there. One of the tips given to novice hunters is to look for vertical or horizontal lines, as nature doesn't tend to produce a straight line in either direction. It's a good indication that you're looking at a critter...and possibly one that you're looking to put in the freezer. Likewise, the frame of a pistol may produce vertical or horizontal lines showing through clothing as well as sharp points, neither of which should be there. What to do in this instance? Adjust your gun’s position. Try lowering the ride height if possible, or moving it further forward or rearward so your shirt doesn’t drape so much over it. Additionally, try wearing a looser shirt or carrying a smaller gun, if possible.